Teaching parents about children’s developmental stages through creative use of ASQ. In the heart of Irvine, CA, there’s a pint-sized indoor city built just for kids. At the nonprofit Pretend City Children’s Museum, little visitors can shop for play food at the grocery store, examine X-rays in the doctor’s office, splash in the marina, and even plant and harvest vegetables in rubber “mulch.” With 17 interactive exhibits—including a kid-sized post office, restaurant, farm, stage, fire station, beach, and art studio—there’s no limit to the creative fun children and parents can have in an afternoon at the museum. But Pretend City is more than just a good time—its mission is to “build better brains through fun, whole body learning experiences” that enhance children’s early development. That goal is echoed in Pretend City’s innovative county-wide child development initiative, Good To Go From Head To Toe. Launched in 2009, Good To Go From Head To Toe educates Orange County parents and caregivers about healthy child development and the importance of regular developmental screenings for young children. “One of our initial tasks was to change the overall community perception of developmental screenings,” says Tiffany Dobson, Developmental Screening Coordinator at Pretend City. “When the initiative launched, many parents were still unfamiliar with developmental screenings or had a negative perception about them.” ASQ® was an ideal choice for them: a reliable, parent-friendly tool that was easy to complete. The “Good To Go From Head to Toe” initiative helps parents keep track of their child’s development. After parents complete an ASQ questionnaire, Dobson quickly follows up. She reviews and scores all of the questionnaires and sends each parent a customized response. If the child’s screening results fall within the “above” range, parents get a letter, a screening results summary, and a developmentally appropriate activity sheet in the mail. When screening results fall within the “monitoring” or “below” range, Dobson personally calls the parent to discuss the results and address any questions about the child’s development. If there are areas of concern, Dobson suggests a referral to Help Me Grow Orange County, a local resource and referral agency, for further evaluation. She also sends parents a customized letter, screening results summary, and specific developmental activity sheets that target the areas of concern. Parents who fill out a questionnaire get a free ticket to Pretend City! To expand their ASQ screening initiative so it helps as many families as possible, Good To Go From Head To Toe is planning some exciting next steps. They’re partnering with several pediatricians’ offices and the local chapter of the AAP to distribute ASQ packets at specific well-child visits—9, 18, 24, and 36 months. They’re also planning to add a feature to their upcoming Good To Go iPhone app that will send alerts to parents when a child is ready for the next ASQ screening. 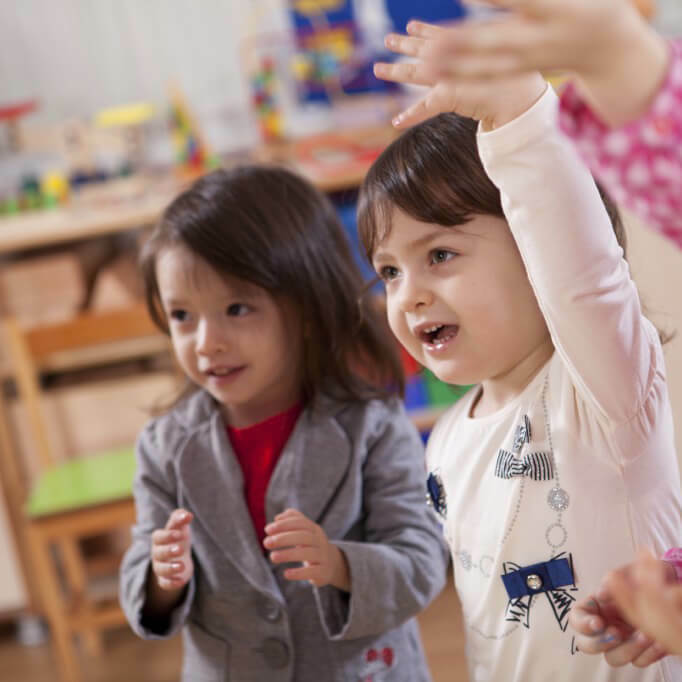 With the ASQ screening program—and the whole Good To Go From Head To Toe initiative—Pretend City is making it easier than ever to catch developmental delays early, connect Orange County children with the services they need, and help parents play a key role in nurturing their child’s development. To increase parents’ awareness of developmental milestones and help them ensure that their child is progressing on track, Good To Go From Head To Toe offers free ASQ screenings.